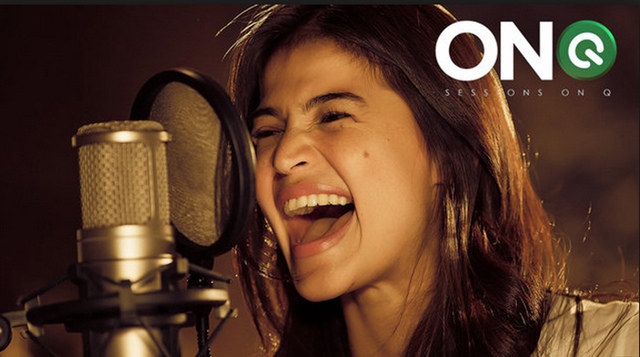 Actress Anne Curtis collaborated with concert king Martin Nievera in a mash-up video that is taking the internet by storm. Yes, loves! Anne Curtis and Martin Nievera performed a duet of Without You for the YouTube channel of musical director Marvin Querido. Anne said she did not expect that she will receive hundreds of compliments after her mash-up video was uploaded on you tube. I was so amazed on how she carried all those notes! The video shows Anne belting out notes like we’d never seen her before. Oii, Anne you should hire your vocal coach for this song forever! Ang galing! Nailabas niya ang ganda ng boses mo dear! Taray mo dito teh! We are not aware that Anne could rap very well! You will surely be in awe. This video is something to love Anne for even more.